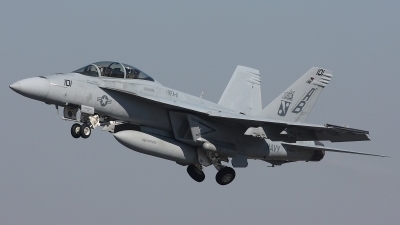 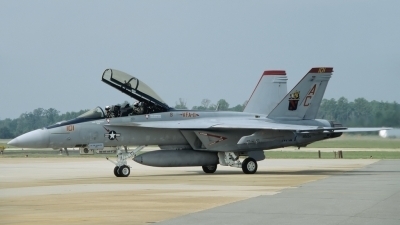 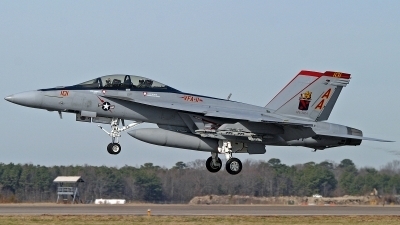 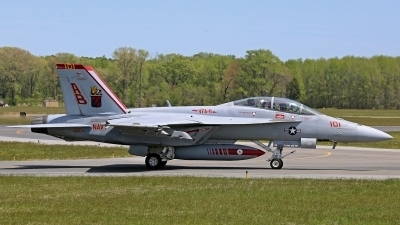 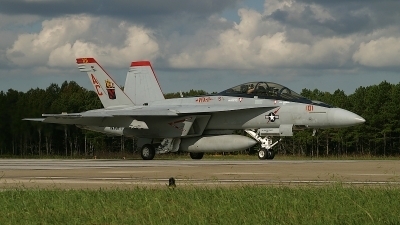 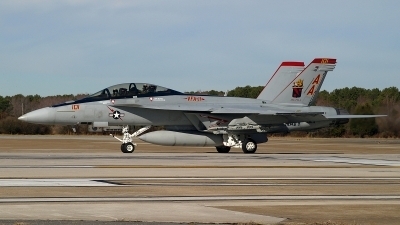 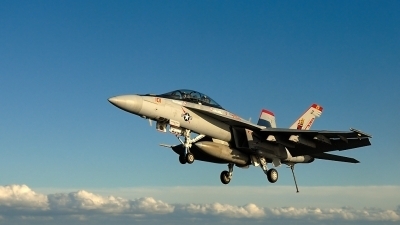 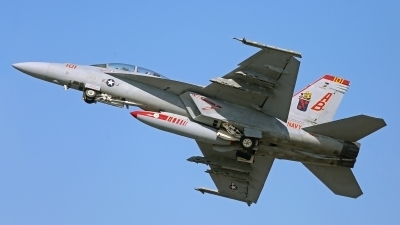 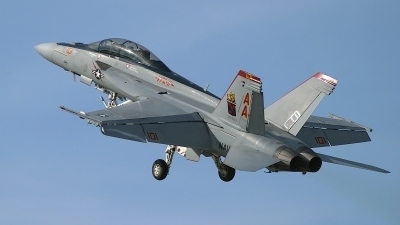 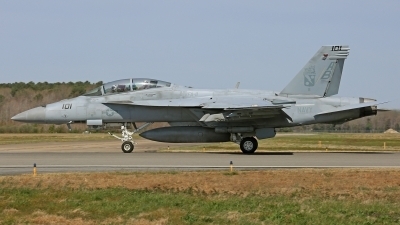 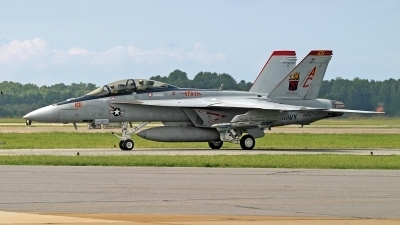 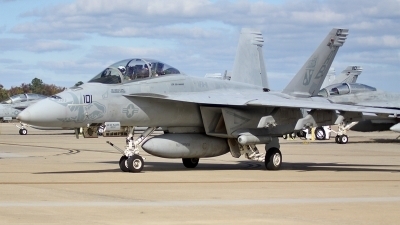 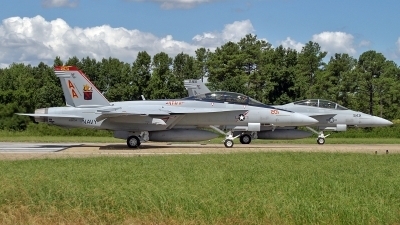 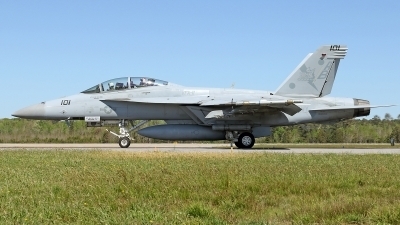 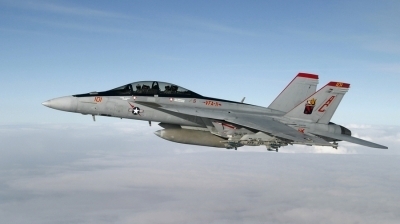 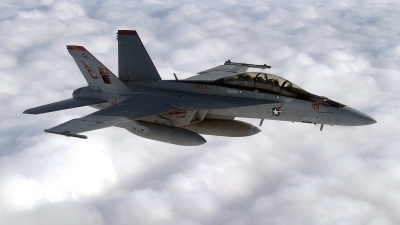 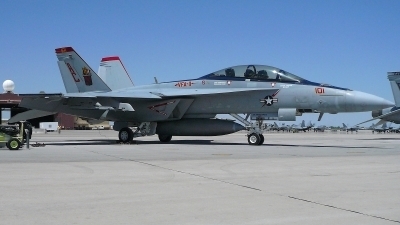 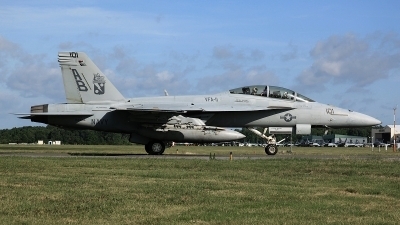 A VFA-11 "Red Rippers" F/A-18F Super Hornet returns home to NAS Oceana during Carrier Air Wing One's homecoming following a seven-and-a-half-month deployment on the final cruise of the U.S.S. 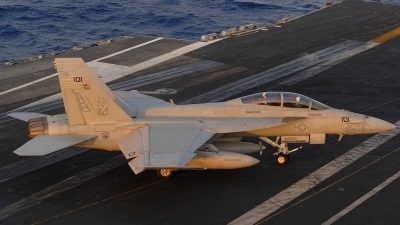 Enterprise (CVN-65). 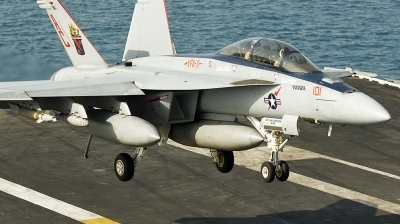 Onboard USS ENTERPRISE CVN-65 FINAL CRUISE, XO-BIRD VFA-211 "Fighting Checkmates"
Operating from the carrier USS Harry S Truman, VFA-11's Boss Bird comes aboard during CQs in 2007. 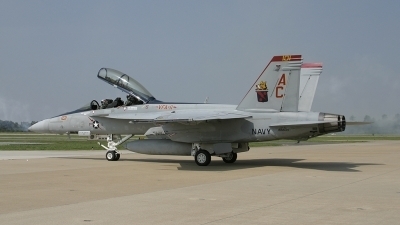 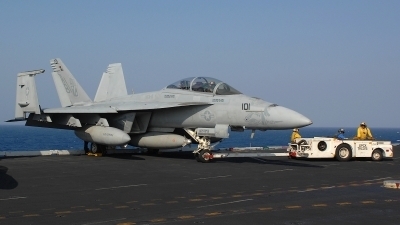 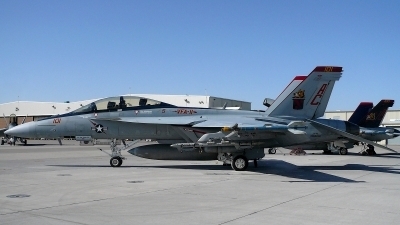 CVW-1 Homecoming. 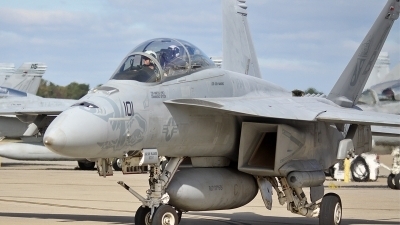 Barely visible is Boars Head Nose Art on radome.